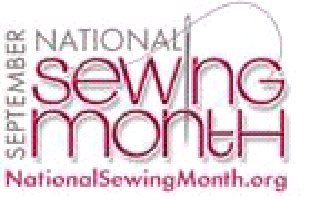 September is National Sewing Month | Jenny. Maker. It seems, according to this website, Former President Ronald Reagan declared this as a way to recognize the importance of home sewing. Every year, there is also a contest sponsored by the Sewing and Craft Alliance and the American Sewing Guild. 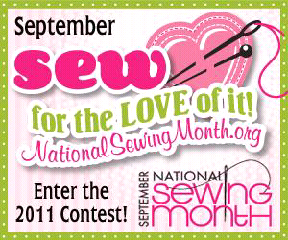 This year, the theme is "Sew for the Love of It" and all entries must feature a heart. So cute! This would be easy to tie in to one of your Self-Stitched September outfits! (Dont forget - the challenge starts today!) I'm thinking a dress with heart-shaped pockets is in order. Hop over to the website for full contest details. Anyone thinking of participating? What will you make? How cute is this logo! ?